First Choice Blinds Day & Night Cassette Blind – Premium design and superior construction. 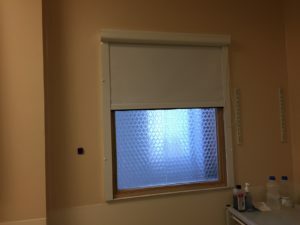 The Day & Night Cassette Blind from First choice blinds offers a sophisticated and innovative approach to providing privacy and light filtering for your home. Innovative design allows the roller tube and control mechanisms to remain hidden from sight in a ‘cassette’. 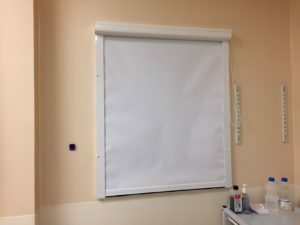 The Cassette Day & Night Blind is particularly popular for mounting on walls or ceilings or doors. 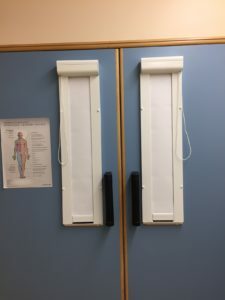 Casette blinds are used in lazer rooms in Hospitals. 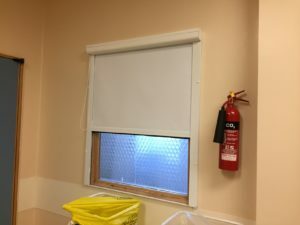 ThShould you want to mount the Day & Night Roller Blind in Cassette to a tilt & turn window, this is possible with the optional wider mounting clamp. Each blind is supplied with a twin aluminium bottom bar for a stylish finish, which also helps the fabric to hang straight, true and taut. 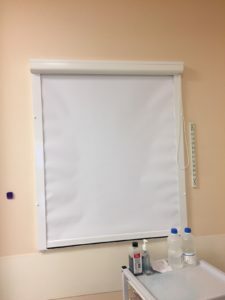 We are proud to offer the Day & Night Cassette Blind in 10 widths in 10cm increments. 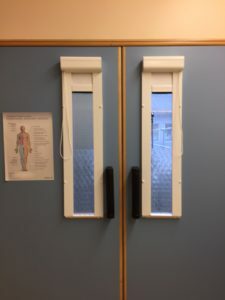 I have attached some pictures of a operating theatre we recently done.